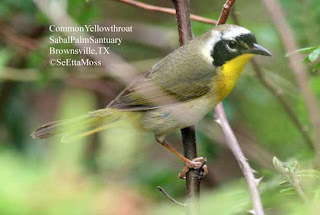 According to Birds of North America online, one of the subspecies of Common Yellowthroat, referred to as the "Brownsville Yellowthroat" (G. t. insperata) is currently known to breed only in Cameron County, Tx which the county in which Sabal Palm Audubon Sanctuary is located and where this subspecies is found. 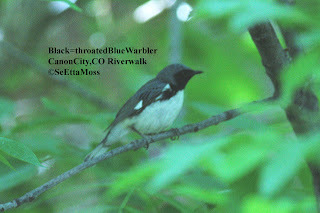 I learned this because I saw a Common Yellowthroat that sang a song very different from the "witch-i-ty" song that is associated with this species. In fact, it sang a very melodic and complex song. 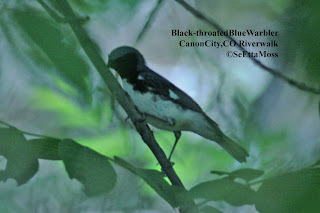 This is a pic of that bird that is probably a "Brownsville Yellowthroat". 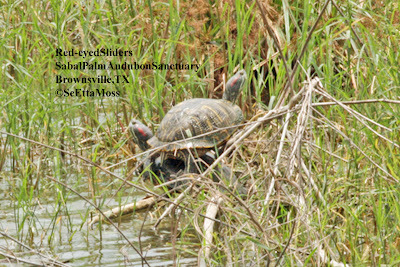 The Sabal Palm Audubon Sanctuary also has a blind that reaches out over a pond and wetland area that allows closer views of a number of waterbirds and waterfowl that might be shy. 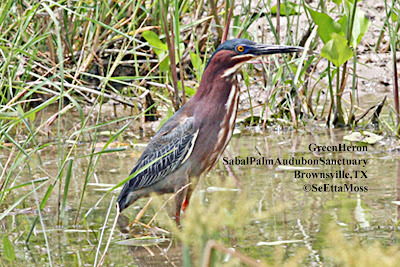 I watched this Green Heron as it actively foraged, stalking frogs/fish/snakes unseen by me. 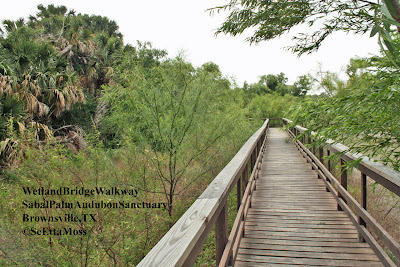 What makes Sabal Palm Audubon Sanctuary so valuable is the habitat including the sabal palm forest that was extensive along the Rio Grande Valley until man cut them down for agriculture and other development. The Sanctuary has several miles of interconnected trails, including boardwalks like the one pictured here. Many of these trails are fairly level so accessible to those with ambulation problems plus they have a wheelchair accessible deck.